Update on the results from our recent “Travel with confidence” consumer advertising campaign. Complimentary places are available from ABTA and its partners for travel agent Members to attend a select number of ABTA conferences this year. Nearly twice as many British people would sooner cut back on eating out if they needed to save money, than they would cut back on their holidays. ABTA takes a look through Warsaw's hidden gems to find neon lights, vodka museums and hipster neighbourhoods. The 2019 Rugby World Cup takes place between September and November using 12 of Japan’s world-class stadiums. ABTA and ANA have picked some tournament highlights including the final, and the travel essentials you need to know when visiting the host cities. In recognition of the ongoing uncertainty around Brexit and the importance of helping customers travel with confidence, we have re-launched our social media advertising campaign which directs travellers to ABTA’s website for information and advice about travelling after Brexit. What does “luxury” mean for your customer? With the term ‘luxury’ becoming increasingly diluted, it is vital that travel businesses understand what luxury means to their customers and learn how to appeal to these needs. ABTA Partner, Amadeus discusses the challenge of tapping into the latest mobile capabilities and world-class app experiences. 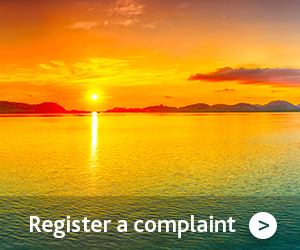 The CAA is making some changes to its ATOL Standard Terms (ASTs) on 1 April. Ensure you are working collaboratively with international hoteliers and suppliers to drive improvement in health and safety. Attend ABTA’s 2nd International Health and Safety conference.